Dressed up or down, these wings makes a statement. And they look like they can double as weapons! 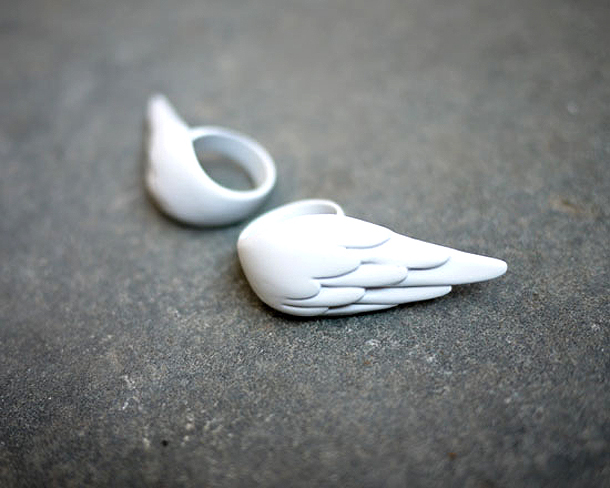 Take flight with this porcelain dove bobby pin. It adds elegance to an otherwise overlooked styling tool. 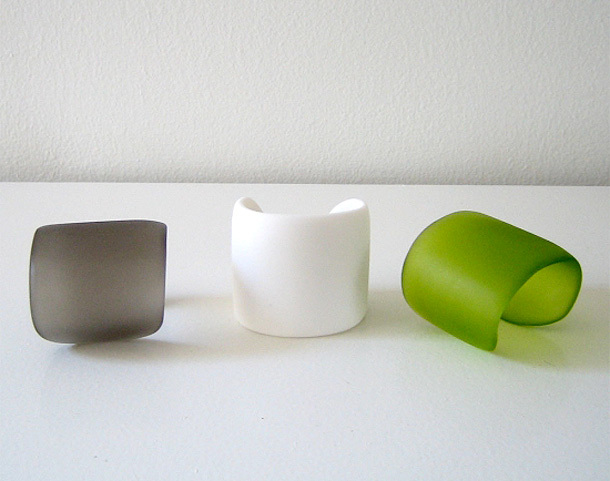 This cuff is the perfect example of how versatile resin can be! It’s so super simple, modern and chic. This cuff reminds me of coral from a reef -just structured and shaped into a beautiful bracelet. Like the Wonder Woman, it can easily be incorporated into any look for day, night, business or pleasure. 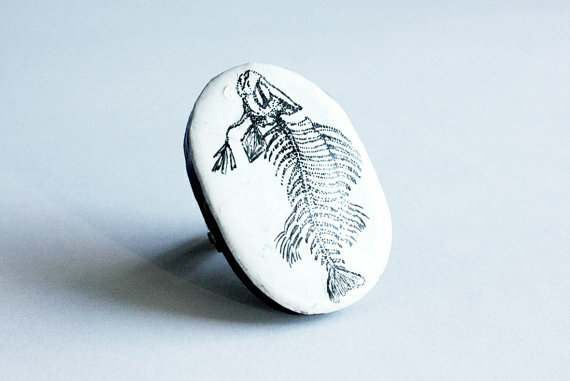 Otherwise a ho hum ring, the hand-drawn fish gives a touch of whimsy. 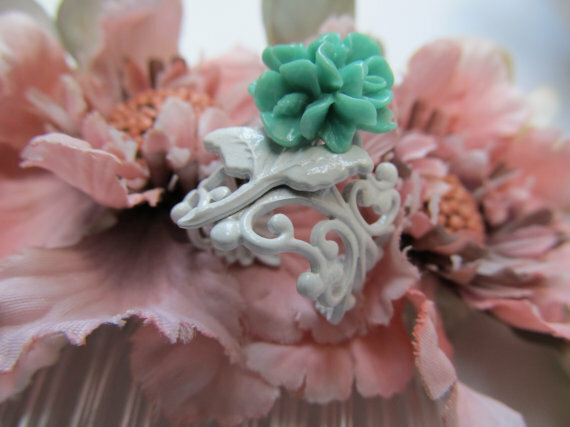 This dreamy piece looks like it was plucked from the Earth! I just adore its classy, romantic look and the color combination is bright and fresh. Small and sweet yet so stylish and fun! 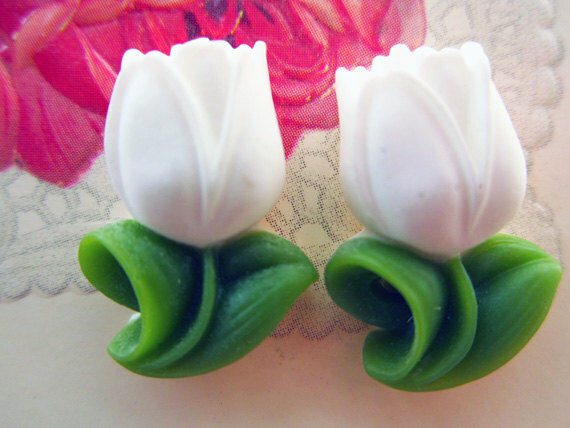 Again, a studly pair plucked right from the ground and made into tiny statement ear candy. This soft necklace is so sweet and charming. White headbands aren’t just for babies. 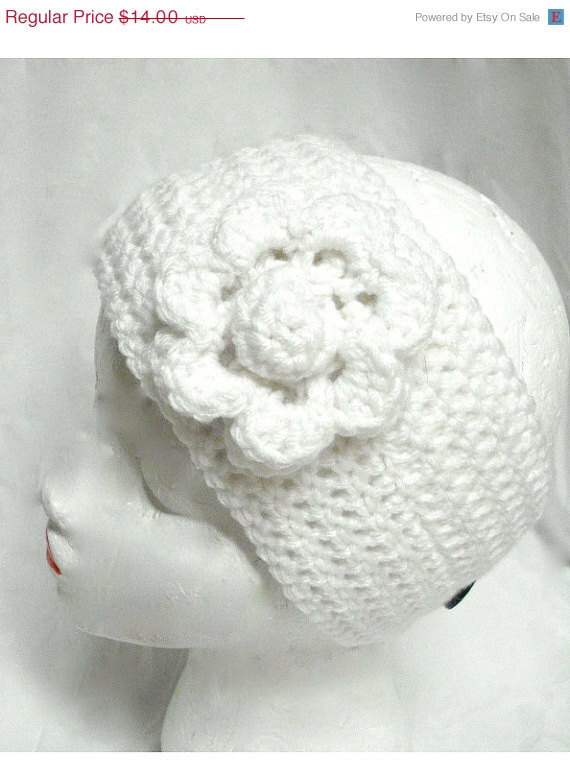 This stylish, youthful earwarmer works double time in the cold seasons and can be added to complete a ton of casual ensembles. 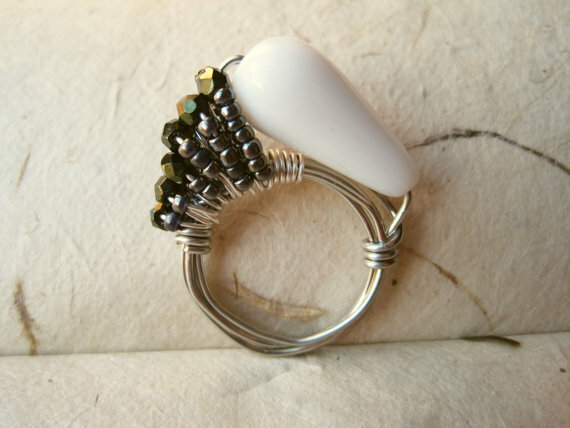 White is timeless and looks great on everyone, so don’t be afraid to invest in some beautiful, stately pieces.